The Schwalbe Durano HS 464 Double Defence Clincher tyre is engineered to eat up the miles while maintaining an outstanding level of performance and protection. An added layer of snakeskin fabric strengthens the shoulder and side wall of the tyres for extreme protection with little additional weight, and a monofilament fabric is used for even better cut resistance. 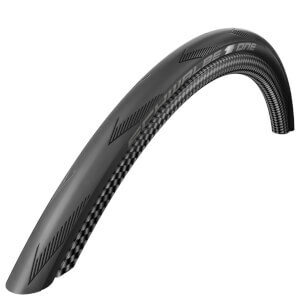 A proven RaceGuard®—crafted from special Indian rubber and several layers of nylon fabric—offers effective protection against penetration punctures and ensure the quality, durability and reliablity of the Durano HS DD 464. - L.R. I've been using these tyres for years without any problems getting huge kms out of each set. Great grip in both wet & dusty dry conditions the 25mm gives a suburb ride. The latest set had one issue: one of the tyres seems twisted with lumps as a manufacturer fault so I'll be returning that one. So always check your tyres.